Portobello mushrooms drizzled with garlic olive oil and topped with melted cheese, ham and chives! 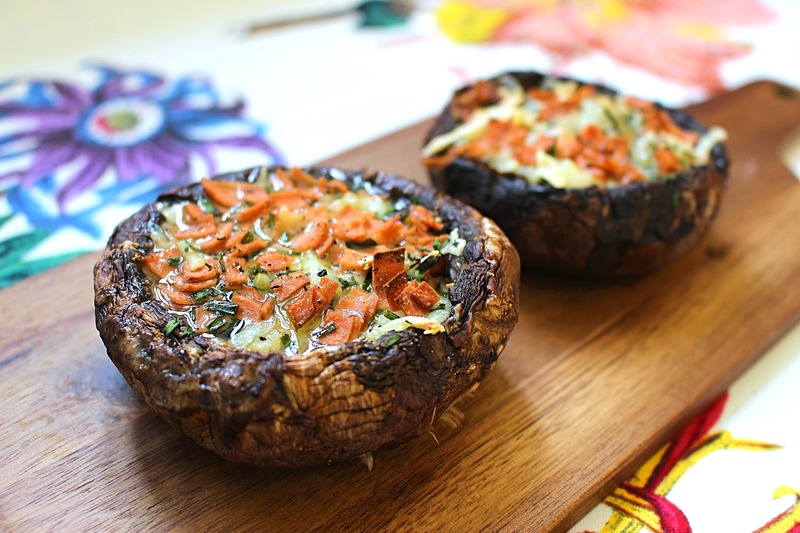 Garlic stuffed mushrooms are one of my favourite starters to have whenever I go out to dinner, I have to get them if they’re on the menu! 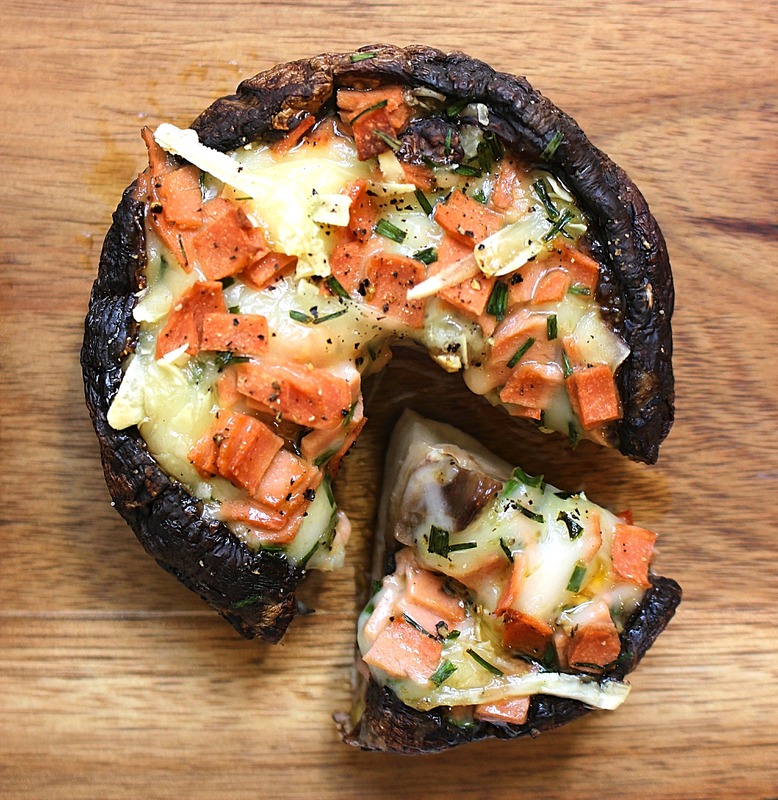 I topped my big portobello mushrooms with a classic and DELICIOUS combo – ham and cheese! It’s a combination I really missed when I went vegetarian, and I’m so happy I can enjoy it again now I’m vegan. They’re so easy to make, anyone can rustle these up in just a half hour. I used Quorn’s vegan ham slices – when I first tried them I was amazed how much they taste like the ‘real’ thing! You can find them in most supermarkets now which is great. 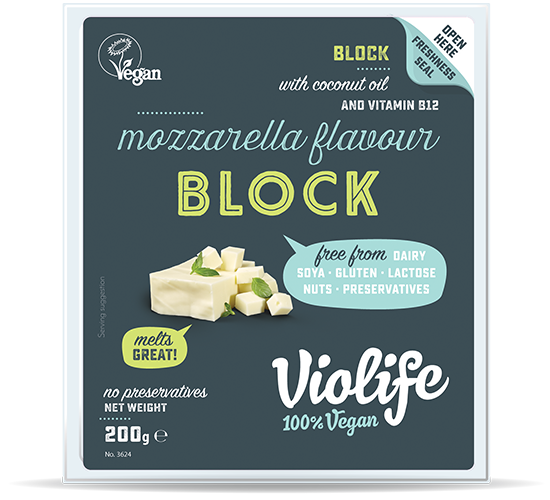 I used Violife’s mozzarella flavour block as it has a really subtle flavour which isn’t too strong, and IT MELTS! When I first went vegan, I really struggled to find a good cheese replacement, the first one I tried was disgusting as you could really taste the coconut and the smell was foul. It put me off my search for a while, but then I discovered Violife! For anyone who wants to try vegan cheese for the first time, I would definitely recommend it, along with Follow Your Heart’s range. Drizzle your olive oil over the top of your mushrooms and sprinkle with garlic and onion granules, salt and pepper. In a bowl, mix your chopped ham, grated cheese and chopped chives. 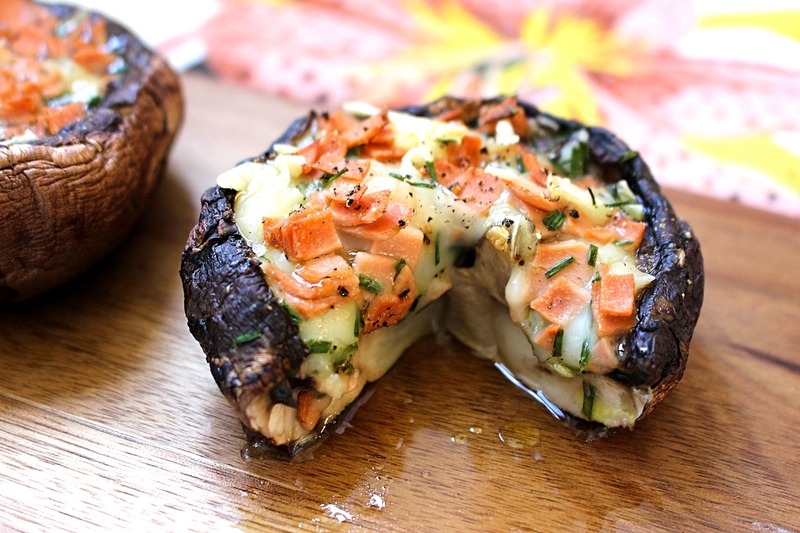 Top your mushrooms with the ham, cheese and chives and put in the oven for 15 minutes covered in foil. After 15 minutes, take the foil off and put them under the grill for another 15 minutes until the cheese has fully melted and has started to brown.